Straightforward stand made for larger monitors. Simple, yet elegant and highly effective, the XS36 X Speaker Stand puts larger monitors in their place. Argosy technical furniture brings order and convenience to your studio / control room, and this X Speaker Stand provides just the right height for your close but large field monitor. Sold individually. Save space on your desk for more gear. 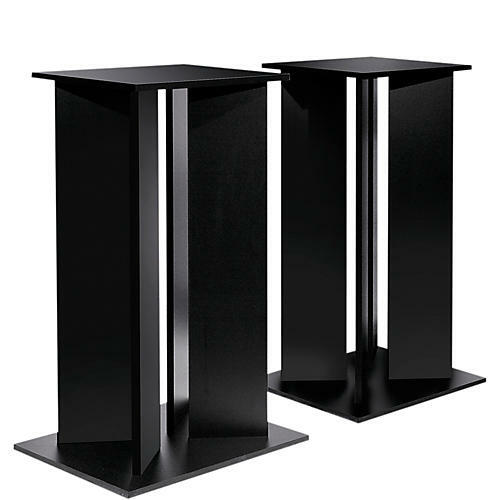 Order this classic speaker stand today.